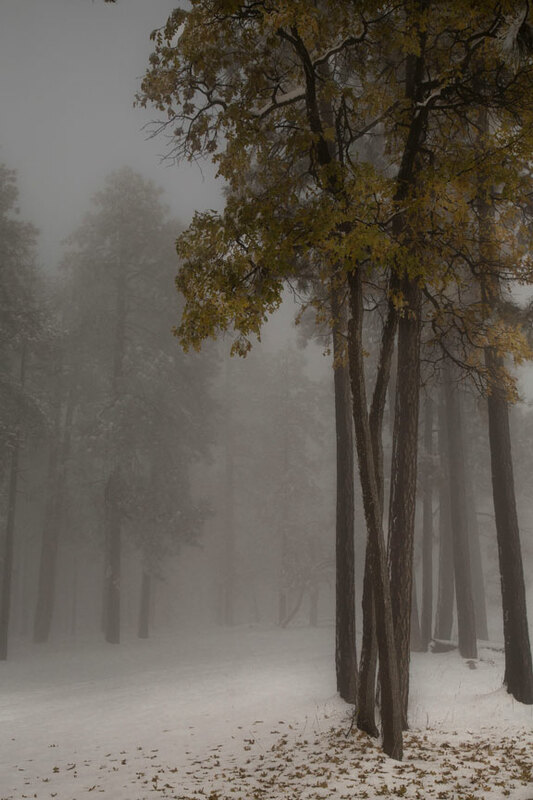 The Forest Service seems to close the roads the minute we get snow… and keep them closed until Spring. 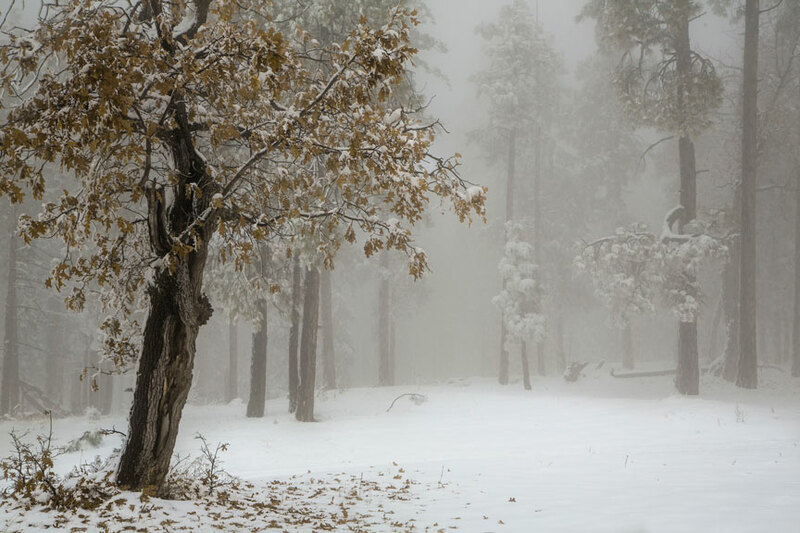 So we jumped into action immediately after our first snow storm, and went directly to the Mogollon Rim to see if we could capture the Rim in snow. 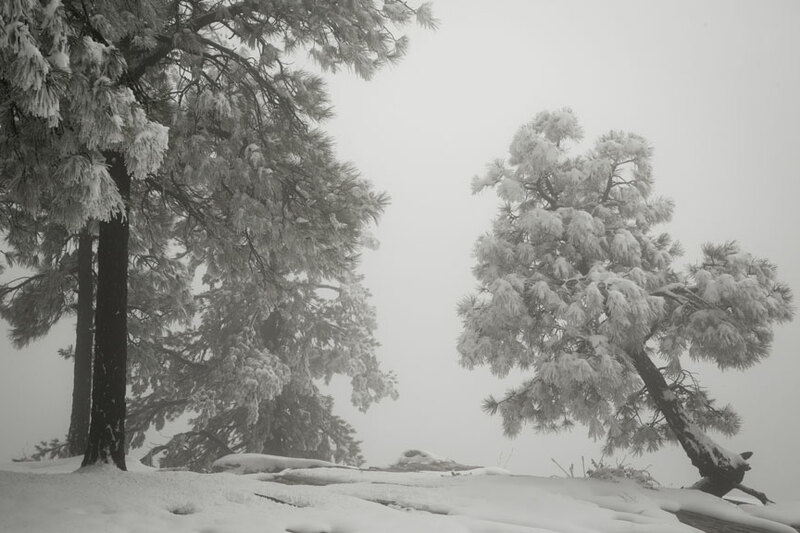 Unfortunately, the fog rolled in, and the view over the rim was a complete whiteout. 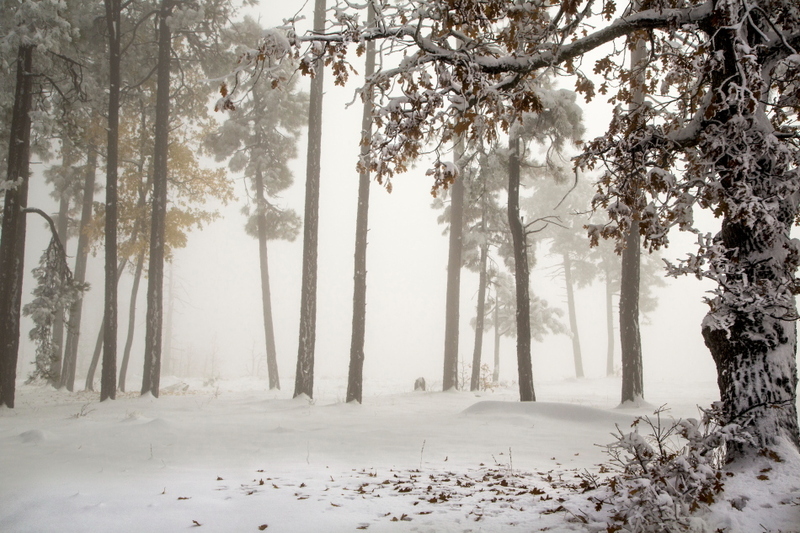 Check out my First Snow pix on kritterspaw.com. What do they say… one closed door leads to another open door. 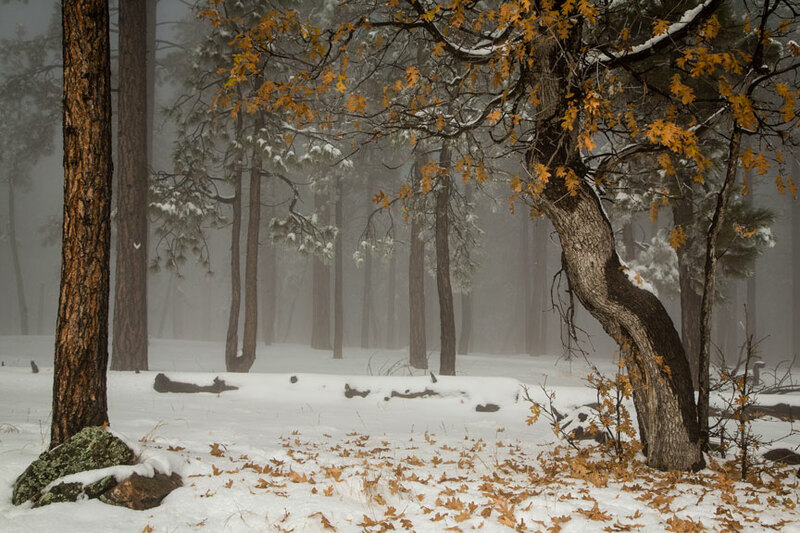 In my case fog lead to some very cool Snow Trees with the last remnants of fall color on pristine snow in an eery fog. It reminded my of an enchanted forest.